HMH Books for Young Readers, 9780544938403, 336pp. "Teens sick of books that coddle them will enjoy sinking their teeth into Bowman's latest...the book demands the same stoicism from its readers as the heroine herself possesses." * "Kate's pursuit of the murderous Rose Riders, intertwined with gold-rush greed driving men to madness, makes for a thoroughly engrossing read." "[Kate] is a hard-riding, tough-talking young woman who can shoot to kill. The story is hers to tell." 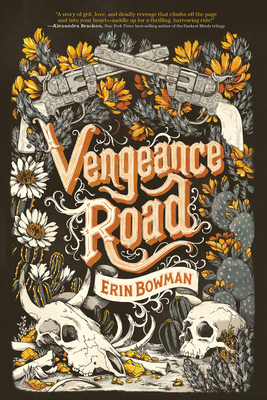 "Readers will be entranced by Bowman's swiftly paced, romantic revenge drama, and historical fiction fans will relish the period clothing, western dialect, and details of everyday life. With plot twists galore and a nice surprise at the end, it's a page turner." “Flinty and fierce, Kate is a formidable addition to the pantheon of tough young adult heroines. Her story and voice crackles to life."